The Online Ocean Symposium, along with a select group of engineers, ocean enthusiasts, designers and artists, are being given an exclusive tour of the DOER Submarine and ROV factory in Alameda, California. Since we love bridging the real world with the digital, we would love to invite all of you out there in the virtual world to ask questions about making these amazing machines and the future of ocean exploration! Come ask us questions to pass along and we post the responses we get. 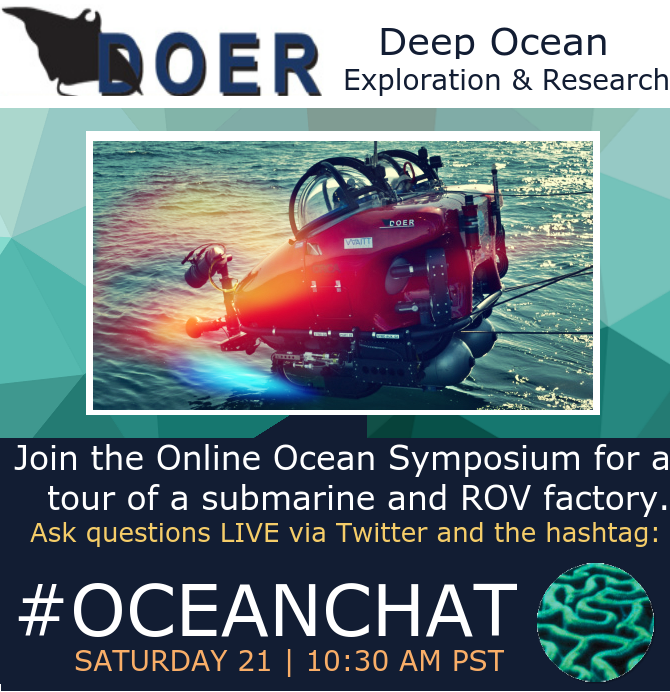 Come join our #OceanChat!